Through the years many loving and kind people have passed through the halls of Trinity UCC. These are just a few who touched the lives of so many because of their love for their fellow man and their compassion for others. Bob was not a long-time member of Trinity, but while here he made many meaningful contributions. He served on the Board and could always be counted upon to take a common sense approach to any issue. Bob was a loving husband, father and friend. He always had a kind word and a big smile for all he met. An avid fisherman, Bob's family likes to say he's just "gone fishin' " and we will say that, too. Betty was a long-time member of Trinity. She was an RN with many years of community service in public health. She also served in the United States Navy and retired as a Lt. Commander. Betty was always friendly and kind to everyone... and always willing to help. When her health made it impossible for her to attend regularly she still let everyone know she was with definitely still with us in spirit. Larry attended Trinity for many years and was a person who was always willing to listen and lend a hand if he was able. He had a wonderful and witty sense of humor that endeared him to all. 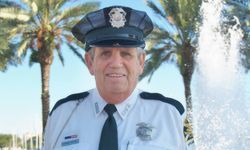 Larry was an auxiliary policeman for many years in St. Petersburg and he was very proud of the work he did for the police department and his community. Reverend Hafner was the pastor at Trinity for twenty years from 1966-1986. Pastor Hafner brought many improvements to Trinity and the attendance under his tenure was the highest it has ever been. His wife Colleen started the Magic Closet, a clothing center for the community which was was well respected and which provided much help to those in need of clothing and other items. He and Colleen returned to attend services at Trinity a few years after he retired and Colleen is still attending today. Sylvia attended Trinity for many years and was kind and sweet to all she met. A quiet presence, she infused the atmosphere with a bright and happy light. We were always happy to see her on Sunday mornings! Bob attended Trinity from 2002 until his passing in 2015. An active member, Bob served as a moderator, Board member and facility manager. Always ready to help, he cleaned the church every week and organized many volunteer work days through out the years. Bob is remembered for his unique sense of humor and amateur status as a political pundit. Ken and Jo Means attended Trinity for many years. They lived in the Chicago area most of the year but were faithful members of Trinity during the winter months when they visited their Florida home. The Means made many contributions to Trinity though the years. Both had astute minds and helped guide Trinity in many wise ways. They were married almost 73 years until Ken's passing in 2014. Harold was a long-time member of Trinity and could always be counted upon to speak his mind and help guide Trinity decision making in a practical and sensible way. He is remembered for many valuable contributions and for the sports car he drove, and jaunty driving cap he wore, well into his 80's. Helen, mother of John and Larry, was a long-time member at Trinity. Her presence at Trinity dates back to the 1950's. She truly believed in all the things that the UCC has stood for - an acceptance of all, equality and social justice. She was a no nonsense kind of person who spoke her mind and when she did speak her mind, she always had something meaningful to say. 98 years young when she passed, her spirit will always be with us. Larry is remembered as someone who loved the United Church of Christ and made it his mission to educate everyone about the great works that the UCC does all over the world. Larry attended Trinity from a teen through his 70's. He was a wonderful historian and in his younger years helped guide the congregation through many fiscal challenges, always keeping a steady focus on doing the right thing for the church. Larry also had a great sense of humor and loved Hudson cars. Lew and his wife Eleanor moved from PA in 1959 to make FL their home. He worked for the FHA and the City of Pinellas Park before becoming an investment property owner and landlord. He started attending Trinity when Rev. Roger Miller was the pastor and he attended faithfully. Lew was a hard working, kind, generous, understanding man and tried to help everyone. Although he was hard working, he found time to spend time with his family and picnics at the park. He is missed by everyone! 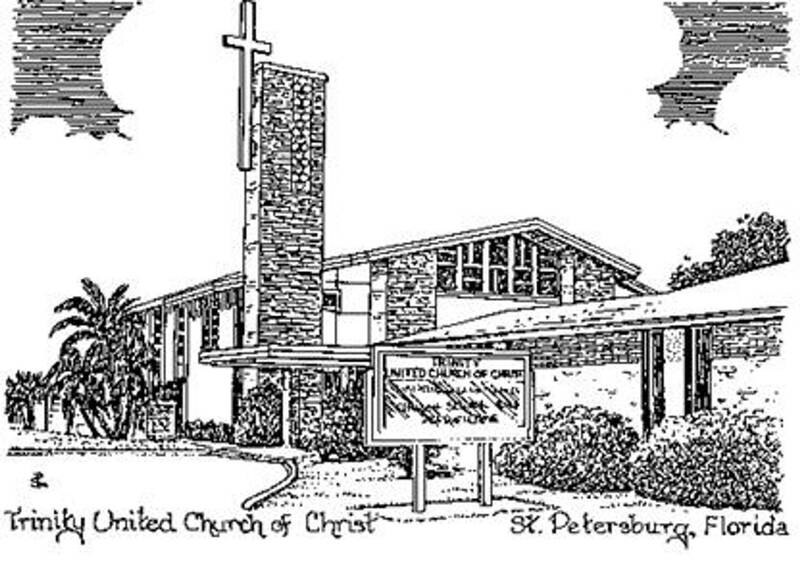 Pete attended Trinity UCC for many years and was a volunteer extraordinaire! Even in his 90's Pete was already ready to help out in any way we needed him. Pete always had a smile on his face and a joke to share. An all around great guy and a loving dad and grandfather, we will miss him always. 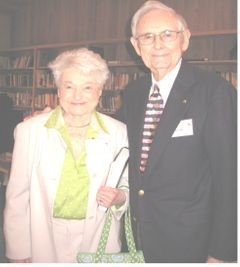 Ruth Tracy was a long-time member of Trinity. Her energy level was amazing and she kept us all on our intellectual toes with her Sunday morning quizzes of the local newspaper editorial page. To be around Ruth was to feel invigorated with your brain working to the max. She was fun loving, quick witted and good-hearted. You'll always be part of Trinity, Ruth. Kathy attended the church for several years and she was always so proud to be a member of Trinity. She would tell everyone, "I can't believe I found such a loving church. I feel that I am home." She taught children's Sunday school and also served on the Board. Kathy was great with kids and enjoyed her class so much! Kathy made a real difference in the children's lives she touched and we so miss her beautiful smile! Doris was a member of the Trinity family for many years. She was an amazing woman who worked full time until she was almost 90. Full of positive energy and good will toward others, she was a delightful lady to know. You always knew when it was pecan season because Doris would appear with her bags of nuts to offer the congregation. Trinity is a better place for having known you, Doris!